Today mobile apps are not solely owned by big and popular brands like Nike and Starbucks. In fact, there has been an increase in the number of small and medium scale enterprises investing in customized mobile apps. Most businesses now realize that an effective marketing strategy goes above and beyond just a mobile-optimized website. There is unlimited marketing potential for businesses through a customized mobile app as there’s been a shift of online activity to mobile. This is a result of the ever-increasing use of mobile devices and applications. With the development of business mobile applications, the way businesses engage and interact with customers has changed and become more efficient. It has enabled easy and anytime access to customers, improved customer experience and helped bridge the communication gap between businesses and customers. Mobile apps have helped businesses reach new levels of marketing, keeping them ahead of the competition. 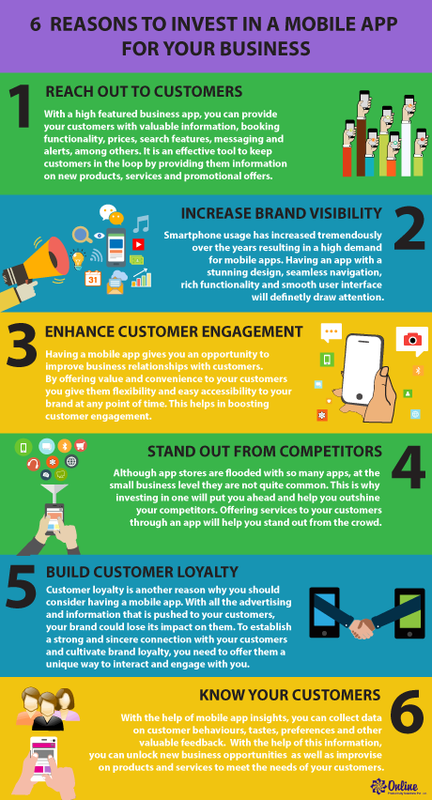 If you’re still not sure why your business should invest in a mobile app, here are top 6 reasons that will convince you to walk down this path. All sizes of businesses; small, medium and large have stepped into the world of mobile marketing due to its numerous benefits and outstanding potential. Mobile apps have become an important element of marketing for businesses. If you wish to have an edge over your competitors, it’s time to invest in a customized mobile app! 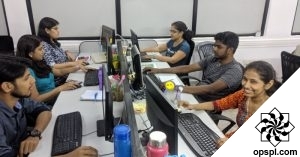 We have an expert mobile app development team to help you build the next big mobile app! Contact our experts today.